Dante Treacy surveys the Drexel defense in the Colonials 82-69 loss to the Dragons. 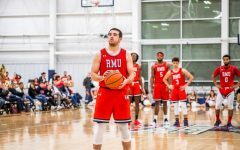 Philadelphia- The Robert Morris Colonials (4-4) traveled to Philadelphia on Saturday to take on the Drexel Dragons (4-4) in a 2:00 p.m. matinee game. The Colonials lost the game by a score of 82-69. Both Coach Andrew Toole and Matty McConnell said that they didn’t have the same intensity that they had against Youngstown State on Wednesday. Robert Morris was able to get out to an early 7-0 lead, including a three from Josh Williams, but Drexel began to claw their way back. At the first media timeout, Robert Morris led by a score of 9-4. Yannis Mendy had six points, and the Colonials were shooting 4-7 from the field. With 12:08 to go, Philadelphia native Koby Thomas drilled a three from the corner as the shot clock expired to extend the Colonials lead to seven. With 8:25 left in the half, Drexel took a timeout after a Matty McConnell three, with Robert Morris leading 24-21. The Colonials were shooting 10-16 (62.5%) from the field, and Jon Williams already had five assists on the evening. On an 8-2 run, Drexel took their first lead of the game after a two from James Butler. With the Colonials having missed eight of their last 10 shots, the Dragons led 33-29 with 3:31 remaining in the half. Jon Williams was able to stop the bleeding for the Colonials on a one-and-one. 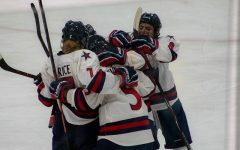 The Colonials were one for their last nine and had missed five in a row. Tim Perry Jr. had a two-handed slam for the Dragons to build their lead to six, and really energized the crowd at the Daskalakis Athletic Center with 1:23 left in the half. With .3 seconds left, James Butler fouled Josh Williams hard, but Williams missed both at the line. At the end of the first half, the Drexel Dragons led the Colonials 42-34. 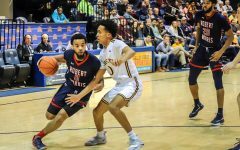 With Robert Morris having five players over five points; Charles Bain with seven, Yannis Mendy, Koby Thomas and Josh Wiliams each had six, and Matty McConnell had five. 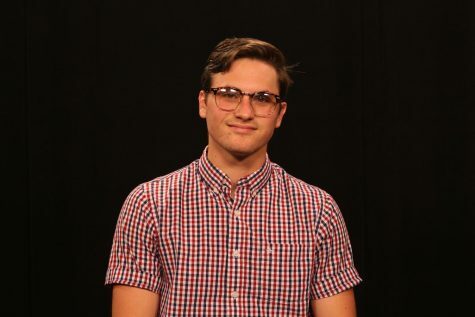 Drexel was led by Alihan Demir and James Butler, Demir had eight points for the Dragons, while Butler had six points and six rebounds; three each offensively and defensively. As a team, the Colonials shot 13-31 from the floor, while the Dragons shot 15-30. With 14:24 remaining, and Drexel leading by 11, the Colonials had only Charles Bain (11) and Josh Williams (10) in double digits. In the second half, the Colonials couldn’t buy a three, only shooting 1-6 with 10:51 remaining. With less than 10 minutes remaining, Drexel was putting on the pressure, playing heavy full court press on the Colonials. With 4:48 remaining, the Colonials were down by 14, 75-61, and were out-fouling the Dragons nine to five. Troy Harper nailed another three for the Dragons to build upon the lead once again. At the final media timeout, the Colonials were down 61-78 to the Dragons. Robert Morris had given Drexel the bonus in the half, committing 10 fouls compared to Drexel’s six. At the final buzzer, Robert Morris was defeated by the Dragons by a score of 82-69. In the second half, Drexel shot 7/12 from three as compared to a paltry 1/7 in the first half. 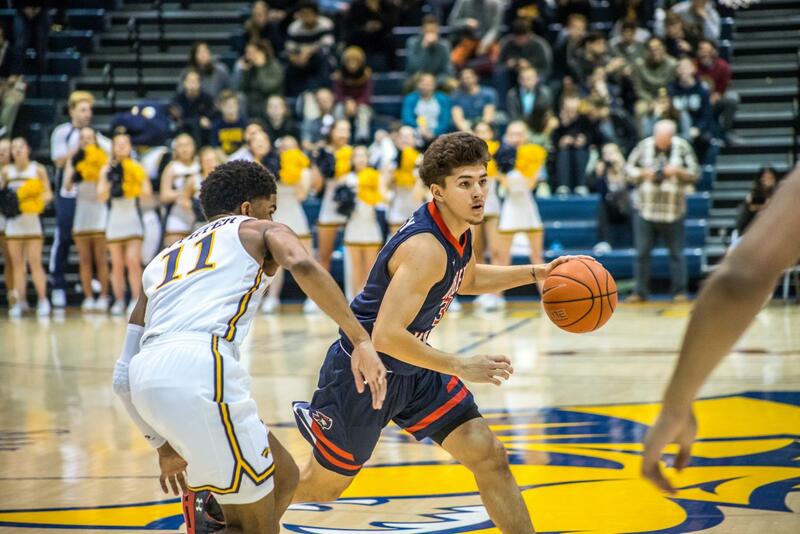 Josh Williams led the Colonials with 15 points, while Matty McConnell and Charles Bain both had 14 points. The Dragons were led by Alihan Demir with 17 points and seven rebounds, while John Trevor shot 3-6 from behind the arc and had seven rebounds. The Colonials next play against the Canisius Golden Griffins (1-6), and are coming off a 70-55 loss to the St. Bonaventure Bonnies (2-5).